We warmly invite the area residents to our Open House Days. Come row with RC KST! We are located on the Bäkepromenade in Stahnsdorf, approximately 200 m below the Machnower Sluice. We are available during two whole days for our visitors and guests. We will inform you about rowing at the Ruderclub KST, the activities of the association, our plans for the future, the rowing sport in general, rowing tours and our journeys. Anyone who is interested may try out the oars. All this with music and snacks as well! 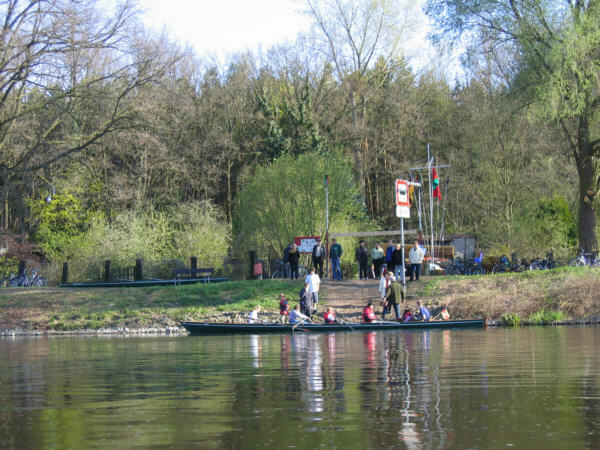 The RC KST is the most successful wide sport rowing association in Brandenburg. Tip for drivers! Driving to and parking at the entrance are prohibited. Please park your car at the Machnower Sluice and walk 200 m of footpath to the association area.